Is black carding just blaggarding? The controversial system for punishing players for cynical fouling has come under a lot of criticism since its introduction in 2014. 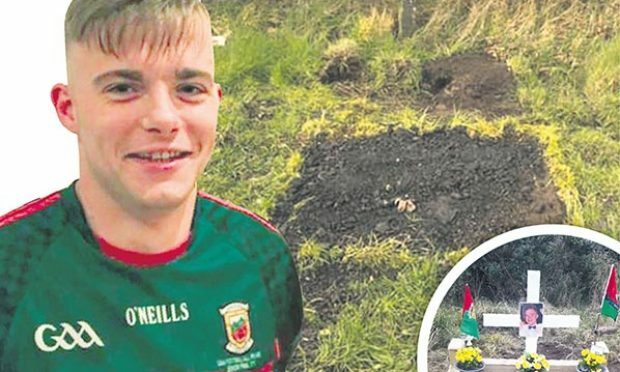 But two seasons on from when it was first implemented it has come under even more scrutiny over the two All-Ireland finals between Mayo and Dublin, as it was brandished a total of four times. 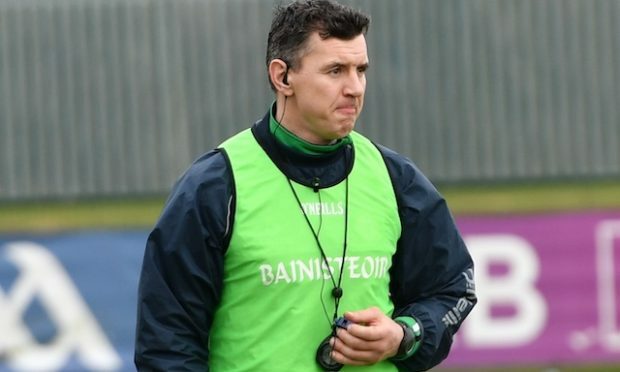 After the final Stephen Rochford suggested bringing in video reviews to make the decisions more consistent, with players sent off based on one person’s sight and split second decision. The main talking points after Saturday’s replay was about the black cards. 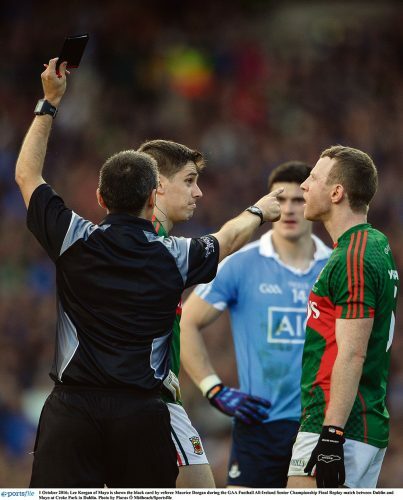 Did Lee Keegan’s challenge on Diarmuid Connolly warrant one? Should John Small then have got one first, or was his worthy of a straight red? Should Jonny Cooper have got one? 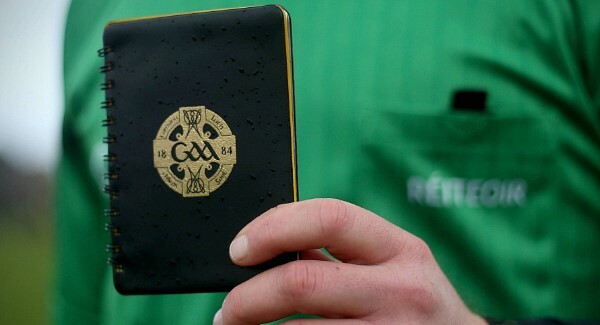 Are black cards a get out clause for refs who want to punish a player, but not necessarily hamper a team by making them play with 14 men? Rochford called Keegan’s black card ‘harsh’ while he was convinced that Small’s challenge was deliberate and he deserved at least the same treatment, as he called for a TMO system like in rugby. “There are maybe up to 10 or 12 people interacting on ear pieces. Out of those 12 there is definitely scope for somebody to be looking at a video clip saying, ‘Maurice, it’s not as clear cut as we thought here. Or it is’,” he said. “Or maybe like in rugby where they say ‘my position on the field is this, can you assist?’ Thirty seconds probably gives you a fair indication. And you look at how long it has taken for a card. And with such a bruising encounter from the off on Sunday the referee, while subject to some intense criticism after the game, could have benefitted from extra eyes for all of the off the ball incidents too. 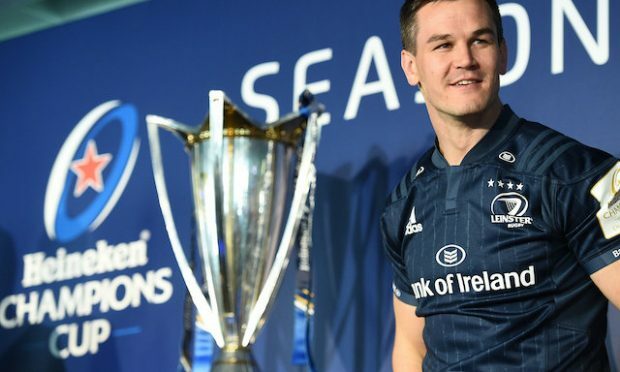 Former Ireland rugby captain Brian O’Driscoll also raised issue with the black card, and suggested bringing in something from his own sport, so that a team rather than a player is penalised for a set amount of time, and the players who have been training all year do not miss out altogether.